You are currently browsing the archives for the BBQ Spotlight category. All we can say is bring on 2013 and with it, bring the SUN!!! 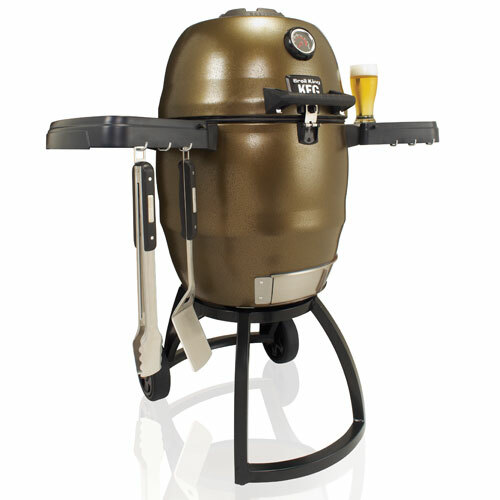 Broil King Keg – The Ultimate Charcoal BBQ! Yesterday we fired up and cooked on a Broil King Keg, something we have wanted to do for some time and a local function forced us into giving it a whirl. 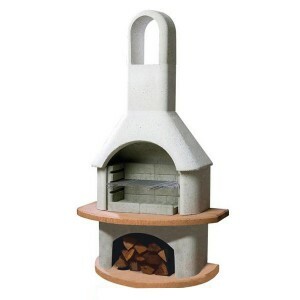 It was a simple cook-up, just a plain Chicken with a few wood chips thrown in for luck……….. what a barbecue! the Chicken was perfect, and the Keg used only the smallest amount of lump-wood. We loaded the Broil King to the barbecue centre website and have watched the video, but nothing prepares you for actually using it, and one thing that stands out over all the other spec is just how safe it is. The Keg is not only built well as you would expect from Broil King, but the construction of the Keg, double walled and insulated means that as per the spec it really does hold in the heat, but the real bonus here is that at 300º you can touch the outside and it is simply “warm”, now with barbecues being held primarily in the home garden and children running around I know from experience how careful you need to be keeping them clear of the BBQ, especially charcoal barbecues, they are thin and the whole unite gets hot, the Keg is a different story. Now, there is unfortunately a sort of downside, the Keg is not really your sausage and burger BBQ, don’t get me wrong, you can cook them on it, but it would be a waste of the Keg’s potential, this is a long burn, low and slow BBQ, it has been built and insulated to run on a very small amount of fuel over a long period of time with the lid closed, you can create anything from a stew to perfect flakey pulled pork or brisket, tender slow cooked meat is the Keg’s party trick. For us, if you have a gas barbecue, then the Broil King Keg would be a perfect addition, a weekend feast is easy, use the gas for small meats and vegetable dishes and use the Keg for the large cuts that can be cooked slowly for a really tender result. You can add wood chips for extra flavour, remember to only use a small amount, you will be cooking for longer so the flavour really does cook in to the food. We used about 2 handfuls of catering grade hardwood (the Keg is designed for lump-wood rather than briquettes/heat beads), once the firelighters have gone out you can start to cook immediately, we lit the Keg at about 10am and it went out at about 4.30pm on just 2 handfuls of lump-wood, it maintained temperature accurately. Overall we love it, everyone here now wants to own one, we can not recommend it enough. 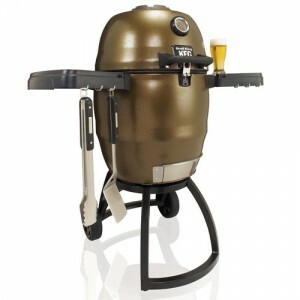 Anyone into their barbecue knows Weber, you may even be the proud owner of one, however for a few years the Spirit range has grown a little dated in appearance, functionality has always been first class along with build quality, but the design has grown tired, well fear not, the new breed arrives for the 2013 season, and stunning is the only word for it, the whole range has been given one of the biggest face lifts that we have seen for years, here is a sneak peak at the new Weber Spirit barbecue range. All new models can accept a small gas bottle inside the cart. 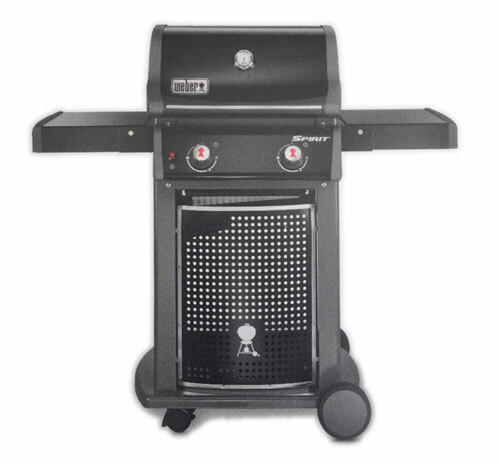 After a recent visit to Solex, we have learned that the manufacturers behind the Outback barbecue brand are going back to the old lava rock cooking method on all the gas barbecues, they believe that the Outback customer has grown to expect this medium on an Outback barbecue. This is a bold move, after investing in flavour bars for the last two years, going back seems a bit risky to say the least, we have talked in depth about cooking mediums and how they have evolved for gas into what the top BBQ manufacturers now use, to start with, any change can make you a little nervous, however the flavour bar system has become in our opinion the best cooking medium to date, that said lava rocks were used for many years and are a reliable option delivering a similar result. One of the biggest issues with lava rock is that flavours can carry forward from the last meal, they also need to be replaced ideally each year, whereas a flavour bar can be used for many years without needing to be replaced.Lava rocks can also promote flare ups, especially when they have been used over a long period of time, they will slowly absorb fats. Were not against the move back, but do fear that the move will further confuse customers, especially those who have bought into the new flavour bar Outback BBQ, promoted as the new medium, that is now reverting back to the old. Some customers love lava rocks, and in honesty we can understand Outback’s position, I am sure were not the only Outback dealer to have a lot of calls requesting a barbecue with lava rock, so if the research into the Outback customer is correct, it is indeed a more expected medium, this is also a cheaper option to produce so with the company standing firm to it’s roots it does make sense for them from a price point to move back to the old system, keeping manufacturing costs down means that the consumer still gets the Outback barbecue that they want at a price that remains very competitive in today’s leisure industry. 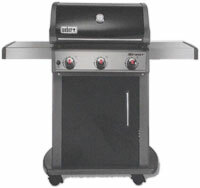 Moving back to lava rock means that another year see’s a complete re-vamp of the barbecue range, often referred top as the for fiesta, the Outback barbecue carries the same name throughout years of change, and old Hunter is not the same as a new one, the odd face lift here and there sees the models change in size and subtle design. 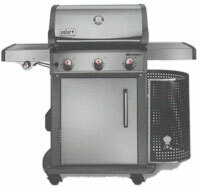 One of the biggest let downs for us is news that the combi barbecue will not be with us, certainly for next year, though Outback claim it will not be returning at all, a major blow really as this barbecue has grown in popularity since its launch, with customers loving the double barrel option, charcoal for smoking and gas for cooking all in one unit really did impress, so this is one move we really do hope they go back on. As far as we know, all other models will remain for 2013, converted back to lava rock, but names will stay the same, we also understand that with the reversal back to lava rocks, some pricing will reflect the change and fall, lets just hope that our British Summer will support the industry for longer in 2013! This year has seen a huge increase in the sale and production of masonry stoves, one brand in particular is Buschbeck, constructed from masonry with stunning visual design and practical use, Buschbeck stoves can be used as garden fireplaces, or ovens and barbecues, a versatile centre piece for any garden with a design suitable for all. Now with increased popularity for the entire range, more accessories are becoming available, from gas inserts for those who want to use the stove as more of a barbecue, to pizza ovens and heavy duty grill plates. The added beauty is that you are never limited to any one type of fuel, most Buschbeck stoves can be used with anything from wood, to charcoal and briquettes, and you can choose what fuel to burn depending on what your either cooking, or simply using it for a focal point on a mild summer evening, adding a little heat to your surroundings, letting you enjoy the garden you work so hard for. With prices starting at around £350 it also doesn’t cost the earth to own one, do however bear in mind that they are heavy, so a permanent site must be located and assembly often requires the cementing of each part, all you need is included with every stove, but once erected, it would be a big job to take down, so choose your location well, and leave enough space around it for safety and cleaning. Most who choose a masonry stove already own a barbecue, the stove is used for occasional cooking, but prmarily as an outdoor fireplace, however if you have the budget we really do recommend the pizza insert, if you cook nothing else, you really should try it for the perfect pizzas! Outback Barbecues’ have become one of the UK’s best known BBQ brands. Sold in garden centres nationwide, Outback is a well known and trusted brand. 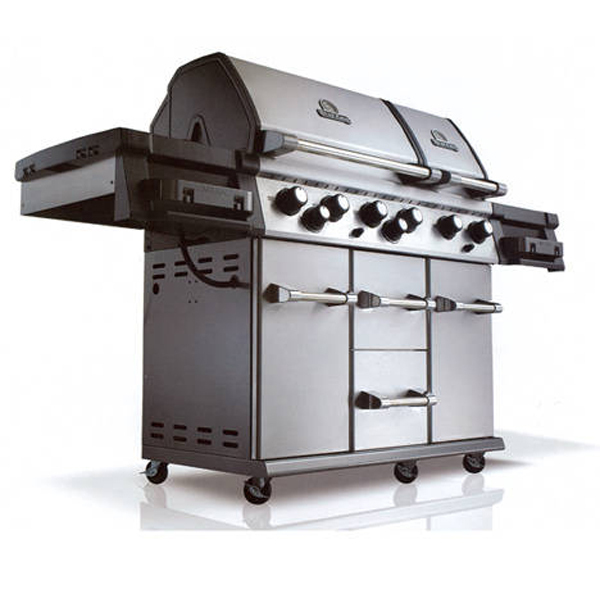 Unique designs and continued development demonstrates the companies commitment to providing consumers with a quality barbecue with innovation and longevity. Here we provide some useful information to guide you through the Outback range, from the purchase to some tips on safe cooking. Choosing the best barbecue for purpose; whatever type of barbecue you choose does really fall down to personal taste, gas offers convenience whilst charcoal offers authenticity. All Outback barbecues’ cook delicious tasty food with, both gas and charcoal give the food the smokey flavour, this is achieved by juices falling to the coals or flavour bars, the smoke rises and bastes the food resulting in the authentic BBQ flavour. How to use the barbecue; Outback barbecues are supplied with a comprehensive instruction manual to help you get started, however below are a few pointers to help you on your way to cooking the perfect food on your new grill. Make sure your barbecue is in a safe place. It must be outdoors and on level ground, ensure that it sits at least 1 metre away from flammable materials such as trees or fences. If you have a gas barbecue, leak test it every year. Check the hose connections are tight and leak test each time you reconnect the gas bottle. If you have a hooded barbecue, never light it with the hood closed. Excessive fat on meat can result in flare-ups so trim off before grilling, use cooking sauces and marinades sparingly. Where possible try to avoid cheap cuts of meat and meat products as these will have a much higher fat and water content, when cooking such meats, make use of drip trays and place them under the grill to catch drippings. Cook all barbecued food thoroughly and never cook anything from frozen. A temperature guage/probe will check the internal temperature of your food to make certain it is completely cooked. Different types of charcoal burn at varying speeds and temperatures, the best guide is a visual one; the charcoal should always be ash grey on the outside and glowing red in the centre. 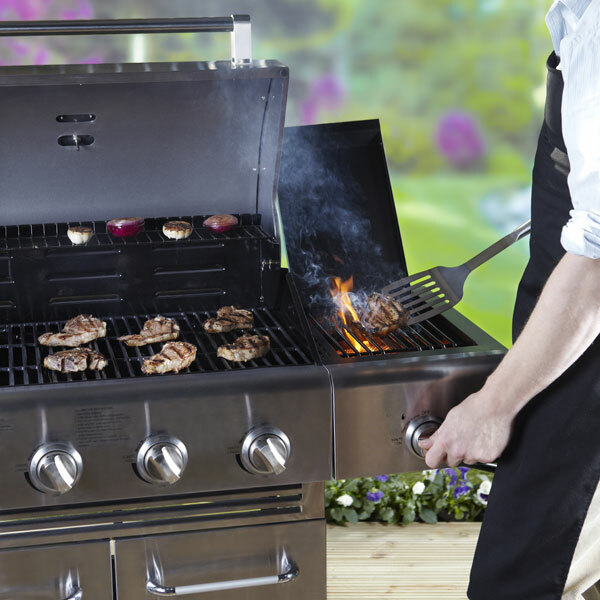 Gas grills should be lit and pre-heated for 10 to 15 minutes before you start cooking. Sear your food over a high heat on both sides, then move to a medium heat to complete the cooking. Marinate for flavour; try to allow at least two hours marinating time before cooking. 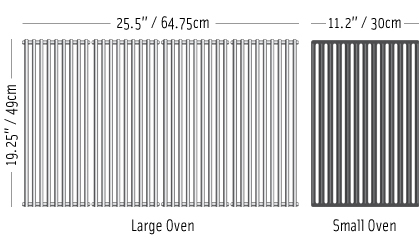 Warming racks are ideal to keep cooked food warm, or to warm items such as bread rolls. Place the food at the front of the rack to avoid the possibility of juices and fat running down the back of your barbecue. Remember that the barbecue is for fun, use it safely and enjoy quality time at home with family and friends, go to the website for a complete range of Outback barbecues and accessories. The Broilking Imperial XL is one of the largest gas barbecues available in the UK before you step into the world of build-in kitchens, and in fact even then the Imperial XL offers a larger cooking area than a lot of build-in grills. 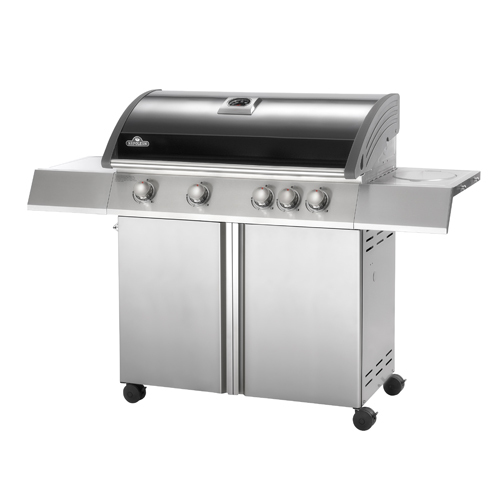 The XL is not just a barbecue, it’s an entertaining centre-piece with solid construction and stunning design you can cook in style for just 2, or cook for a party of 22 the Imperial XL offers outstanding flexibility, whilst remaining an affordable barbecue. The Imperial XL was inspired by professional cooking appliances, it offers stylish stainless steel construction to compliment your outdoor living room and premium cooking grills for outstanding performance, the two cooking ovens allow you to create meals cooked individually at different temperatures all at the same time, your guests can enjoy perfectly cooked food from a variety of ingredients all ready and served together, whilst you remain calm knowing your XL has put you in complete control. Full depth pull out drawers are deep enough for grill brushes with enough storage space for all the accessories you will ever need. Two independent cooking ovens on the XL provide you with the versatility of an outdoor kitchen – you can roast, bake or rotisserie cook in the large oven while smoking or searing in the small oven, with both cook boxes being deep in design they promote even heat distribution and therefore give you plenty of room for large cuts of meat such as turkeys and roasts. A key component to the magic behind all Broil King barbecues is the stainless steel “Flav-r-wave” system. This cooking medium is what creates that true authentic barbecue flavour; food juices are first vaporized when placed on the cooking grills, then as the drippings drop to the Stainless Steel flav-r-wave system they are vaporized – the smoke that is created then rises to infuse your food with the unmistakable authentic barbecue flavour. The Broil King Imperial XL flav-r-wave is designed to eliminate flat spots, this design ensures that all juices are vaporized and none get left to pool and burn. 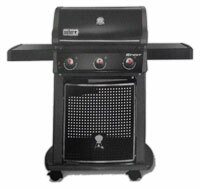 The Imperial XL has the trademark reversible heavy duty cast iron cooking grids, these carry heat evenly and have outstanding heat retention to give you the steakhouse sear marks and help create that authentic barbecue flavour, by using heavier cooking grids Broil King barbecues provide better heat retention and searing power. Turn the cooking grates over and you will see that they have a ridge with a flow off exit at each end, these are designed for high fat content meats such as sausages and some burgers, by cooking on the reverse side you allow 90% of the fats to drain away past the flv-r-wave reducing the risks of any flare-ups, the remaining 10% of fats do make it to the flav-r-wave to enhance the foods flavour as normal. The key to great grilling is even heat distribution from the burners to the grills, BTUs quoted on any BBQ are only important in relation to the efficiency of the overall cooking system. The Imperial XL offers dual tube burners, these eliminate hot and cold spots on the cooking surface. The patented linear flow valve system provides you with precise heat control across the full range of High to Low temperatures throughout cooking, all this coupled with the Imperial XL’s heavy gauge stainless steel burners offer you not only long life but outstanding durability and total control over the internal cooking temperature. Take out all the advances in the cooking medium, burners and flav-r-wave, the shell of the Imperial XL will stand the test of time – North American made steel, heavy gauge components, premium quality finishes and rust-proof hardware – all these build elements will ensure your investment lasts for years, backed by the knowledge that Broil King don’t just make barbecues, they cook on them to, this is why they have been successful in creating an entire range of barbecues that cater for every keen BBQ enthusiast, the whole system on a Broil King works, proven from the ground up and backed by a world leading warranty. When the barbecue comes out at home, one thing that’s sure to follow is a nice cold drink, so while the food cooks, grab a glass, every Napoleon barbecue has a bottle opener as standard….perfect! Take a look at the SE series promotional video for a little more info and a better look round the barbecue. 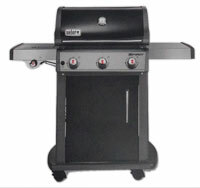 Now, Napoleon® might be a relatively new name to the UK, having only been here for a few years, however the company has been making charcoal and gas barbecues in North America for thirty-six years. Their grills include all sorts of refinements with top-of-the-range models having features such as ice buckets and rotisseries as standard.